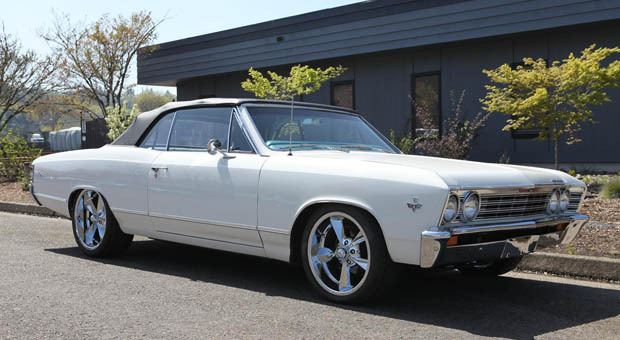 Take a good look at this 67 Chevelle…pretty nice huh? One would assume this beauty would be leaving a restoration shop, not arriving at one…but this is exactly how the 67 appeared when it arrived at MetalWorks Classics in Eugene, Oregon for a radical transformation. You may be a bit confused, as was I when the sharp looking Chevelle arrived, but after a conversion with owner Jerry and the crew at Metalworks I got a good understanding of what lay ahead for the convertible, and why.